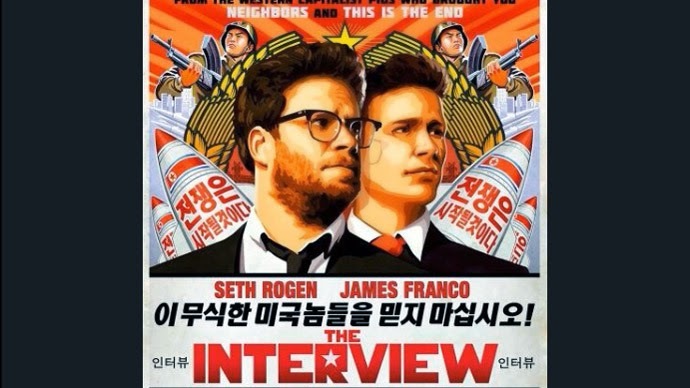 Should Sony Pull The Interview or Release the Movie Somehow? Sony Pictures has officially cancelled the release of the highly controversial The Interview—a movie that stars James Franco and Seth Rogen in a wacky adventure to assassinate the leader of North Korea, Kim Jong-un. This comes after hackers made threats that they would perform a cyber-terrorism attack equivalent to those of 9/11 on any theater that shows the film. Whether North Korea itself is responsible for these claims has not yet been confirmed. Was this the right decision to pull the movie and not release it? In my opinion, I'm surprised they didn't do this sooner. North Korea made threats months ago when reports of this movie came out. Any kind of threats like this shouldn't be taken too lightly. Sony will definitely have to suffer some backlash from people for doing this. I honestly wasn't a fan of Zero Dark Thirty because it took place so recently after the Osama bin Laden killing and I'm surprised it didn't spark a bigger controversy in the Middle East. At the end of the day, Sony is making the right decision for themselves and possibly the safety of others. I personally wanted to see the movie, but I guess I'll have to wait for a bootleg or a leak of some kind to show up online.